Instead, I am running across some REALLY great stuff about social media these days, and I hope you don’t mind my sharing it. Remember how I keep saying social media won’t stand still, so you can’t either? Well, several new iterations of some of the top Social Media platforms are out, and they deserve a quick look-see. 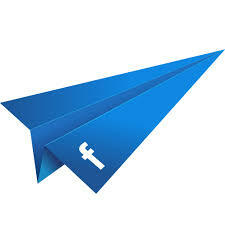 First, PAPER, maybe the best Facebook app yet. On its 10th annniversary, the 800 lb. Gorilla in the social media space is launching Paper as the FB app we’ve hoped for all along for your smartphone. Now with 1.25 billion active users, FaceBook hopes Paper will strike users as being the best user-interface yet for the mass of information that hits the social media network every hour. The social media platform most voice actors love to hate now offers new tools to filter your search, which is how you should be using twitter anyway. You can now search on Twittter by people, photos, videos, news, and advanced. OK, maybe not earth-shattering, but anything to make sorting-out social media a little easier is great! See Twitter’s tweet about it. Engadget explains. “How You’re Connected” is a game-changer for my favorite social network. Already providing the richest search tools, and some of the best groups on the internet, LinkedIn’s “How You’re Connected” improves the method for finding the “strongest commonalities” between you and someone who just might hold the keys to your next voice acting prospect. See more on The NextWeb. Pinterest launches a category explorer called “Interests“. Twitter improves photo editing for Android.